RedHouseMedia recently collaborated with Crow Wing County’s (CWC) Land Services department in promoting and communicating its water plan to area residents. 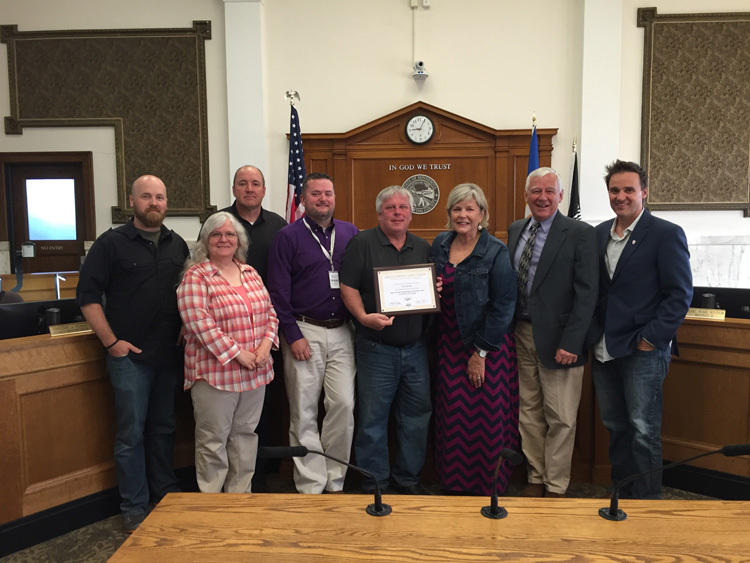 The CWC water plan communication program earned them the National Achievement Award from the National Association of Counties (NACo) for the fifth year in a row. The water plan includes several ways to effectively manage surface water, groundwater, and aquatic invasive species (AIS). 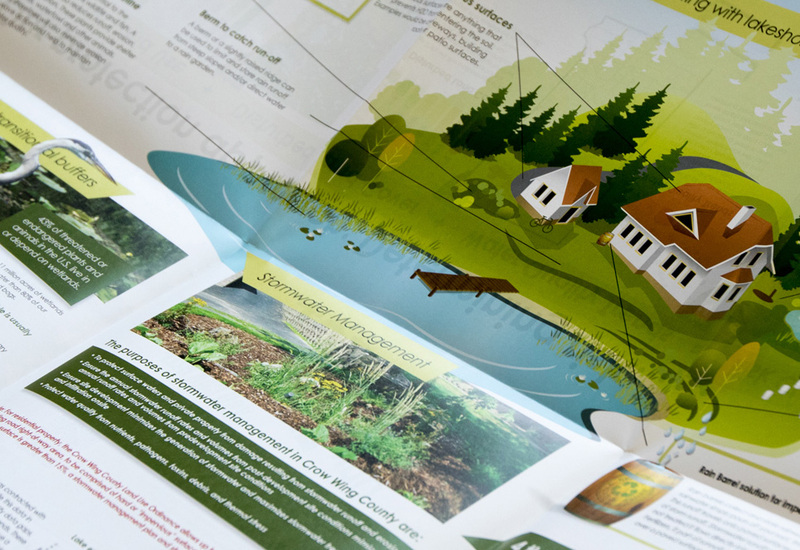 The award-winning materials designed and created by RedHouseMedia include posters, kiosks, and rack cards—all with colorful graphics and succinct information directed toward helping county residents better manage and protect shared water resources. The county’s management team worked with RHM to clearly articulate and achieve their water plan goals. “The information created by this water plan communication project helps property owners do the right thing by describing clear, easy steps to help preserve and protect our area’s natural resources,” said Mark Liedl, Crow Wing County Land Services director. In one colorful illustration, CWC’s watershed management approach presents four simple things people can do to make a difference for a lake. 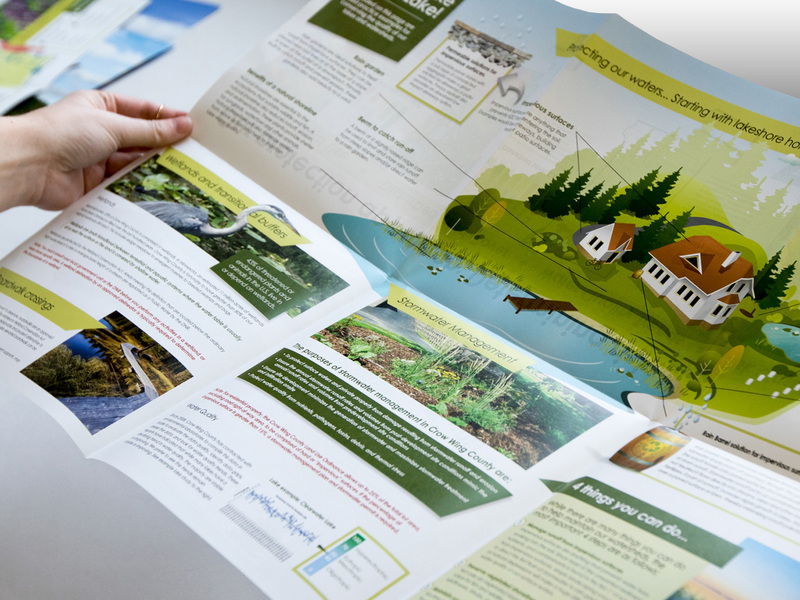 Other materials include pullout posters and rack cards for groundwater, surface water, AIS, agriculture, and forestry. The “Implementation Tool Box” displays the various local, state, and federal resources that are available for those who want to follow good land stewardship practices. To learn how RedHouseMedia can assist you with your communication, identity, and creative strategy needs, visit strateligent.com. To view the award-winning CWC posters and other materials, visit http://crowwing.us/241/Water-Wetlands.